Østenfjeldske Lambretta Club consists of a group av men in all different stages of life who share one common passion - Lambretta Scooters. In our club we have many members who have lived a long life with their Lambrettas. Some have the garage completly packed with Lambrettas, cars and boats, while others only have this one big love that every year gets to see the the Norwegian spring at its most beautiful. This after a long winter´s care and mainteanence, of course. Several of our members have in fact driven the same Lambretta ever since they bought them at age 16 - then the age limit in Norway. Other members are a lot younger than their scooters - however, the passion for Lambretta we have in common. For those who belive that spending most your lesiure time in Norway concerned with Lambrettas is for somewhat particular people, they are right. If you love the sound of a two-stroke engine and the smell of petrol mixed with 2-6% oil, if you think dirty nails make you more interesting and expensive spare parts make your hart beat, this is the club for you. Still we aren´t that particular. Among our fellow Lambretta lovers we have had Jayne Mansfield, Cliff Richard, James Cagney, Rock Hudson, Gina Lollobrigida, Fyrst Rainier, Cameron Diaz og Jan Erik Vold (Norwegian poet). Stolen scooters page - we now have created a page where you can put information regrding stolen scooters. Read the restoration tips of Jan Bødtker! EuroLambretta-treffet will take place June 2-4. in Issoire, France. You´ll find more information here: 17th EuroLambretta Jamboree 2006 We can suscribe through the Swedish Lambretta Club. The Rivals Scooter Club in Kristiansand arranges Lost in Norway Scooter Rally 11-13th of August. Look at Petter´s Li 150 Series III on our members section. You will also find two new pictures of Henrik´s TV 175 serie I. Classic Scooters Club in Bergen arrange Oppheimtreffet 2005 at Voss, 26-28 august. Read more on the homepages of CSCB. A new member is warmly welcome in our club - Henrik Aamodt! 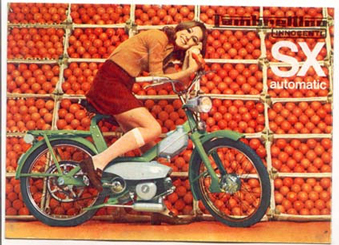 Have you seen the new Lambretta? Read more on the homepage of the US Lambretta Club. 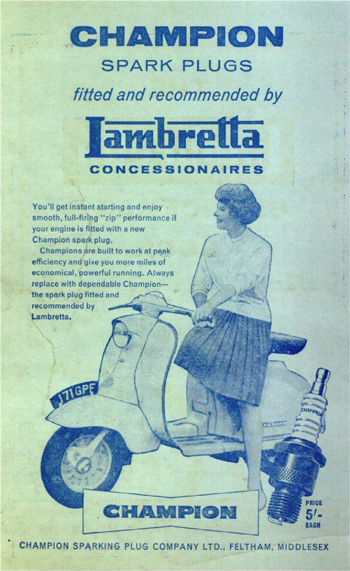 Lambretta articles & materials - We lack material, pictures, etc, from you. If you have some articles, commercials, etc., send them to us so that we can publish them on our homepage!